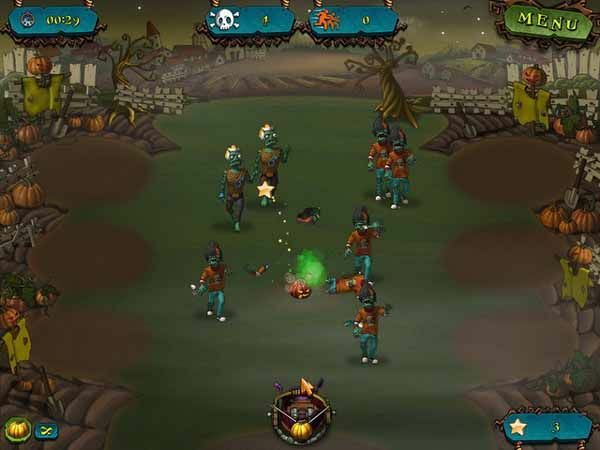 Free download Vampires vs. Zombies game for PC. It is a light simulation game for PC. This game has good graphics, but not near to real. The setup of the game Vampires vs. Zombies is about 259 MB. After downloading the setup, simply install it. Be careful about installing of ask toolbar, so it’s up to you to uncheck or keep checked the options during installation. Vampires vs. Zombies game is about the war between vampires and zombies. Zombies are dead infected people while vampires are also dead but fast and cannot bear sun light. You can watch a story before the game start. Zombies are produced by an Army man, so all are under his order. They raised from Africa and spread to all over the world from USA to Europe, Asia. On the other hand, Dracula, the vampires’ master makes declaration of war against zombies. The game start, and you have to enter your name. At first mission, you are to the side of vampires. A vampire woman is here on the garden. She has to plant some pumpkin, harvest them and sell them to produce soldier. You have to create soldiers to rescue from zombies. During her walk in garden, you have to keep her far away from the plant where you see sun light. It is harmful for her as she is a vampire.